This is the sixth post in a seven-part series for Spectrum’s 2016 Summer Reading Group. 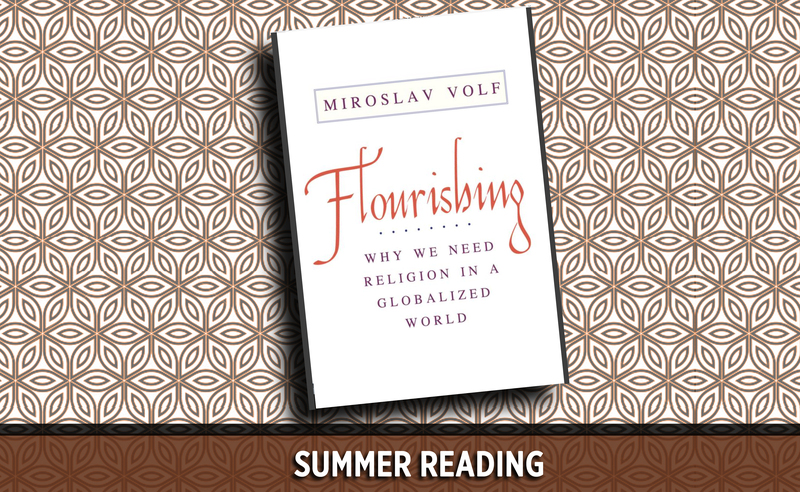 Each post will be drawn from chapters of the book Flourishing by Miroslav Volf. You can view the reading/posting schedule here. There are some real differences, obviously, between the organization of states and the organization of churches. We shouldn’t confuse political theory with ecclesiology. Yet, in light of some of the decisions that will be made at the upcoming annual council meetings, I can’t help but wonder if politics has something to teach religion—in our case, how to deal with pluralism within our own global community of saints. The question Volf confronts us with is this: Can religious people who each think their way, ultimately, is the best way or only way, live together peaceably with others who see things differently? And can they live together peaceably inside the church no less than inside society? Or is the church, ironically, the place where we can be intolerant towards those who think differently than us? Rousseau claimed that, “It is impossible to live in peace with people whom we believe to be damned; to love them would be to hate God who punishes them” (149). He concluded that the real threat that needed to be addressed and contained was “theological intolerance.” Those following him have argued that the only way to a peaceable society is for religious exclusivists to adopt religious relativism or pluralism (all ways are equally good or bad). Volf, however, makes an important and helpful distinctions between religious and political exclusivism and pluralism, arguing that “a consistent religious exclusivist can be a political pluralist” (151). In a politically pluralistic state, the government is impartial, guaranteeing freedom of conscience, and giving individuals equal voice and opportunity to participate in the public sphere, regardless of their religious beliefs. Exhibit A for religious exclusivism combined with political pluralism is Roger Williams, the founder of Rhode Island, which was the first government that intentionally and officially separated the church and the state. Williams, some might be surprised to learn, was a Christian pastor, who, because his religious convictions, believed it was “monstrous” to compel others to believe what he believed or to force them to conform to such beliefs. Because faith is so important, “all humans must be allowed to live by the faith they hold true” (155). Volf argues that these sentiments that gave birth to the freedom of religion can continue to sustain it today. This historic discussion of Williams will likely warm the hearts of many Adventists who have been champions of both the strict separation of church and state and the freedom of religion. We believe it is wrong to compel others on matters of faith. It is at odds with our understanding of faith and our collective experience of being religious minorities in many and most places. So we champion the rights, both ours and that of others, when it comes to the state, along with the freedom of conscience and choice. But what about the respecting the rights, conscience, and choices of those within our own community, especially when these disagree with our own? The recent study on church governance and unity (which is in the process of being revised), issued by the General Conference’s Secretariat’s office attempts to broach this issue, clarifying the procedural guidelines provided by the General Conferences Working Policy. One of the arguments that the document makes is that all church parties in disagreement over a particular issue of church policy (not doctrine) are to participate in a process of communal deliberation and, ultimately, submitting themselves to the conclusions of that process—“[W]hen representatives of all regions and all points of view have had input into discussions, the decision of the whole body is binding on those who have entered into deliberations, either in person or through their representatives…If everyone defies decisions that they disagree with, there is no point in having a decision-making process” (40). freedom of conscience is guaranteed to all people…and all have equal voice in running the affairs of common [church] life. Consequently, [church administration] is impartial with regard to major decisions rather than highly favoring one over all others (141). To its credit, the GC Study acknowledges and appreciates the great diversity that exists in the church on numerous practical matters—worship style, dress, and even diet (17). Yet, to make this similar to the practice of ordaining women, fails to recognize that for many it’s a genuine moral issue—a matter of conscience. Must we force such individuals to make a choice between church unity and their sense of basic moral justice? Secondly, are all voices being respected and given a seat at the table of ecclesial life and discussion? The perception by many is that we could be doing much better. This brings me to Volf’s final condition of impartiality. To many, the GC study’s impassioned call to unity sounds discordant because it comes after the fact, by the office of the very same leaders who led out in what is perceived to be a very partial process. President Wilson has clearly expressed his very definite perspective on the issue of women’s ordination and obtained a result that happened to coincide with his view. Regardless of how perfectly the discussion and decision may have been carried out procedurally, the perception that both the process and outcome was rigged in some way is unavoidable. Freedom of conscience. Equal voice. Impartiality. Volf identifies the real issues that need to be addressed if we really want unity. Perhaps we really shouldn’t confuse the life of the church with that of the state. Hopefully, however, that is because the life of Christ offers through his people is more, rather than less, than the freedom and unity guaranteed by the state. Zane Yi is an assistant professor of religion at Loma Linda University’s School of Religion where he teaches courses in philosophy and theology. He serves as an officer in the Society of Adventist Philosophers.